LONG BEACH — The Long Beach City Council unanimously approved a staff request to transfer more than $17 million from the city’s Harbor Revenue Fund to its Tidelands Operating Fund, which provides funding for marinas, Queen Mary, Rainbow Harbor and tidelands operations. Council members initially approved a resolution in June requesting the Long Beach Harbor Commission transfer about $17.7 million to the Tidelands Operating Fund. At the Sept. 8 City Council meeting, Lea Eriksen of the city’s budget and performance management bureau said the $17.7 million transfer is roughly in line with what the Tidelands Fund received from the Harbor Fund in 2014; last year’s transfer was approximately $17.8 million. 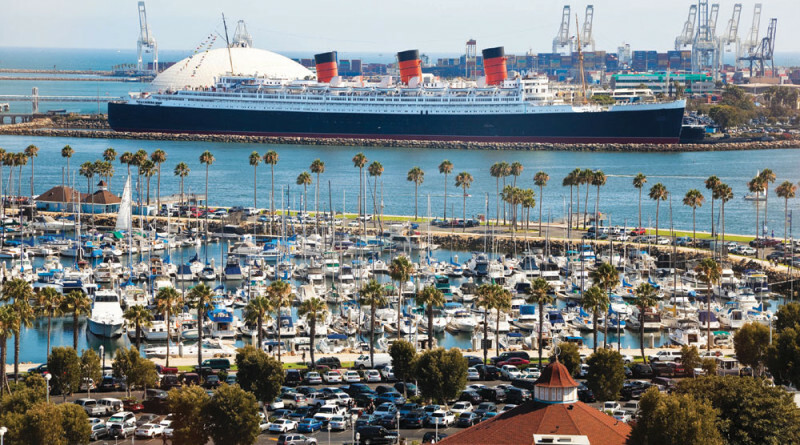 City law mandates up to 5 percent of Long Beach Harbor’s gross operating revenue is transferred annually to tidelands, marina and Queen Mary operations. Long Beach Harbor’s estimated operating gross revenue for the upcoming fiscal year exceeds $354 million. The Tidelands Operating Fund, accordingly, will receive $17,737,000 from the Harbor Revenue Fund, about 5 percent of the harbor’s gross operating revenue. Long Beach City Manager Patrick West wrote a memo to Jon Slangerup, CEO of the Port of Long Beach, a few weeks after the June 2 City Council meeting stressing the importance of the fund transfer. Measure D altered how the Tidelands Operating Fund transfer would be calculated in 2011. The voter approved ballot initiative established the 5 percent of harbor gross revenues formula currently used to determine how much money shifts from the Harbor Department to Tidelands Operations Fund. The transfer formula prior to Measure D’s passage was 10 percent of the harbor’s net income. Changing the formula yielded more money for the Tidelands Operating Fund, according to a comprehensive annual financial report published by the Long Beach Harbor Department in 2011. The City Council and Harbor Department approved a transfer of about $17.3 million from the Harbor Revenue Fund to Tidelands Operation Fund in 2011; the Tidelands Fund received a $12.02 million transfer in 2010 under the 10 percent of net income formula, according to the Harbor Department report. Other sources of funding for marina operations come from slip rental fees, guest dockings, commercial enterprises and some waterfront ground leases, according to city staff. Revenue for the Rainbow Harbor Fund is sourced from dock rentals and Pierpoint Landing’s lease. Projects are also financed by Long Beach’s Tidelands Capital Budget, which is entirely funded by oil revenues. An estimated $232 million from the Tidelands Capital Budget were committed to projects such as the Alamitos Bay Marina rebuild, seawall repair, Rainbow Lagoon and Pine Avenue Public Dock, among others. Long Beach’s tidelands trust area was established in 1911.